For those of us who take an interest in the leadership of our theatre industry, there’s a lot of change afoot. This summer saw a wave of artistic directors step down, from Edinburgh’s Traverse, to Manchester’s Home, to London’s Hampstead and the Bush. I’m also stepping down next year from HighTide, and as I continue to set up commissions, productions, tours and festivals that I will cease to be involved in, I’m mindful of what to pass on to the next artistic director. My advice to HighTide’s next leader, and incoming artistic directors generally, is this: whatever your artistic plans, be as innovative with how you involve the theatre’s existing audiences as you are with realising that vision. Incoming artistic directors often start with statements about change and new audiences. They make difference a virtue when it’s simply a basic fact about change at the top: no two leaders are the same. The real task is how to collaborate with the theatre’s audiences, who are used to engaging in one way, and enable them to enjoy your way even more. Change, and specifically the increasingly fast pace of it, is causing social, political and economic unrest all around the world. It’s no surprise that theatre isn’t exempt from that. Not very long ago, good artistic directors had an artistic vision for the future, and followed the ‘evolution, not revolution’ path to getting there. But in this increasingly reactive world, programming has become more topical and responsive. This is the right model for our times, but it has fundamentally changed what we create on stage. Immediacy is exciting, but as I know from producing new plays, more time can often mean higher quality. And then there’s the disquiet among audiences you hear at shows and read online that voice a sense of ‘things aren’t what they used to be’. Getting the message about policy changes through to an audience isn’t just about highlighting and justifying what you’re planning. Audiences need to embrace it. And audiences often like the way things currently are, so the more abrupt the shift, the harder it is to achieve. Therefore, that is why something like the creation of Public Acts by the National Theatre is such a significant event for that theatre. 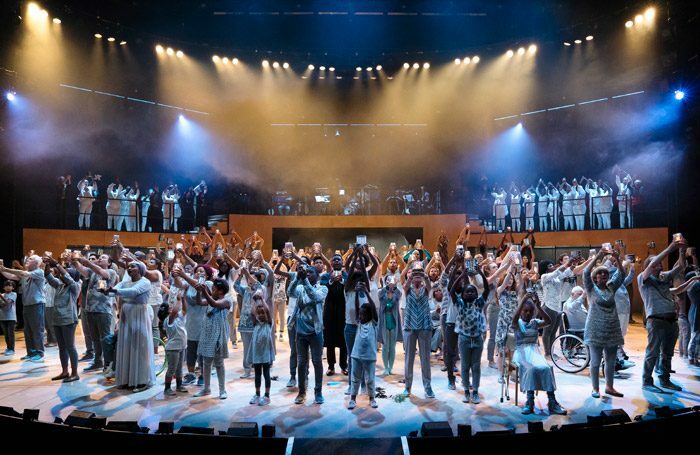 The recent production of Pericles, featuring a company of 200 passionate amateur actors, gave an audience a role on stage. The Pericles company reflected the diversity of experiences that the National have been recruiting backstage. Accusations of political correctness at the NT are blown up when audiences and artists are as one. A policy of box ticking does not create a show that electrifies critics and audiences as Public Acts has. A year ago, I met with an American philanthropist who I very much admire. He warned me to get out of the whole subsided arts business. I’m already a veteran of lobbying for public subsidy. But he illustrated to me that individual philanthropy has often been rooted in religious traditions, and in this increasingly secular society, these traditions are literally dying out and not being replaced. So, new artistic directors, don’t take your existing audiences for granted. They buy our tickets and donate, they probably pay their taxes and hopefully they vote. We’ll need them the next time public funding for the arts is challenged. And whatever we want to achieve artistically, and whoever the new communities are that we want to engage, we need our existing audiences to be onboard for it to be successful.